The outdoor industry is booming, there’s no doubt about it. 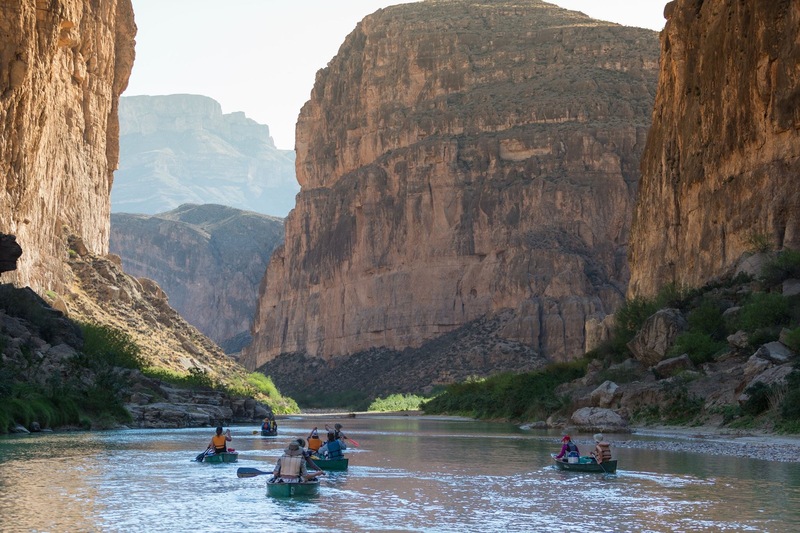 According to the Outdoor Industry Association, the outdoor recreation economy recorded $887 billion in consumer spending in 2016, a whopping figure that accounted for two percent of the U.S. Gross Domestic Product that same year. The industry as a whole generates roughly 7.6 million direct jobs in the U.S., and that number is on the rise — up from 6.1 million direct jobs logged in 2012. The outdoor industry is in the midst of a massive growth spurt, and that growth is spawning an industry-wide search for the next generation of outdoor enthusiasts, stewards of the land, champions of nature and sustainably-minded conservationist willing to grab the torch and carry on the business of inspiring responsible recreation in the great outdoors. And that search has officially landed on college campuses throughout the country. 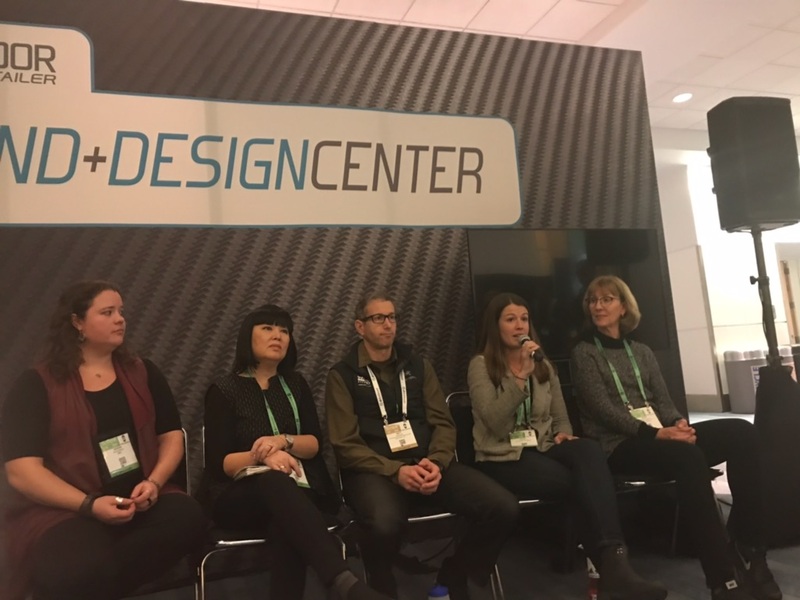 On day two of the 2018 Outdoor Retailer + Snow Show in Denver, Colorado, the Outdoor Industry Association presented “The Next Wave of Outdoorist: The Importance of Growing Outdoor Communities on College Campuses” to an attentive crowd in the Colorado Convention Center. The panel included Dr. Carine Feyten (Texas Woman’s University), Alondra Martinez (Texas Woman’s University student), Scott Wyatt (president of Southern Utah University), Abigail Wyatt (Southern Utah University student) and Ian Levin (Senior Deputy Director for the Outdoor Foundation) as the moderator. The panel discussion highlighted the importance of college campuses promoting students to spend time outside; ultimately encouraging better performance, a closer college community, and more college students pursing careers in the outdoor industry. “We have three institutional goals,” said Scott Wyatt, president of Southern Utah University. “Recruit a high-quality student, give them a high-quality college experience and help them get a high-quality life afterwards. Being in the outdoors helps us accomplish all three of those goals.” Wyatt also shared that students are more likely to stay in school after experiencing the positive impact that the outdoors has on their mental health. Located just a 20-minute drive from Zion National Park, Southen Utah University offers a Bachelor of Science Degree in Outdoor Recreation in Parks and Tourism (ORPT), as well as a minor in Sustainability Studies. 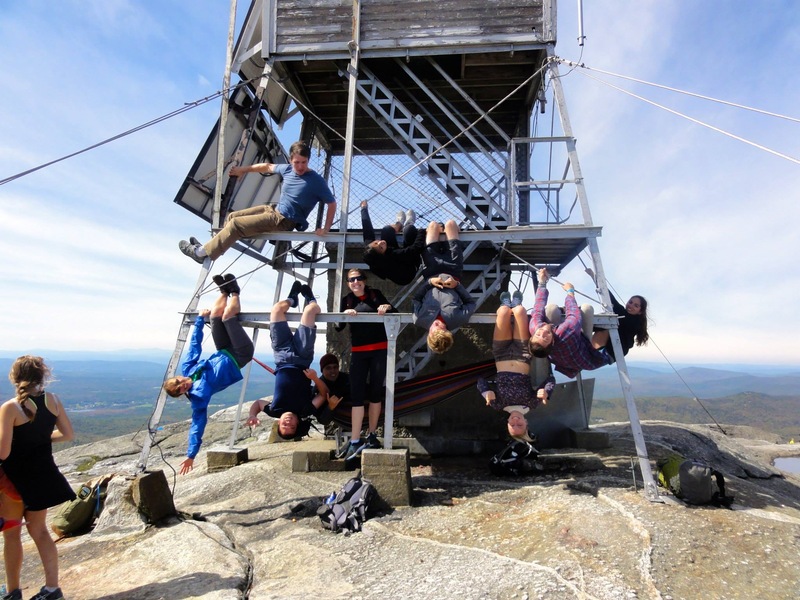 The university also offers a “Pacesetters Outdoor Leadership” program for students, faculty and staff interested in practicing outdoor leadership through the planning and leading of off-campus trips. In the state of Colorado, several universities are adopting outdoor recreation focused programs that offer opportunities for students to obtain careers in the outdoor industry. At Western State Colorado University, located in Gunnison Valley, undergrads have access to bachelor’s degree programs like the Recreation and Outdoor program, Environment and Sustainability program, and other programs that prioritize outdoor education. Student clubs at Western State Colorado University encourage students to take advantage of the surrounding natural environment. 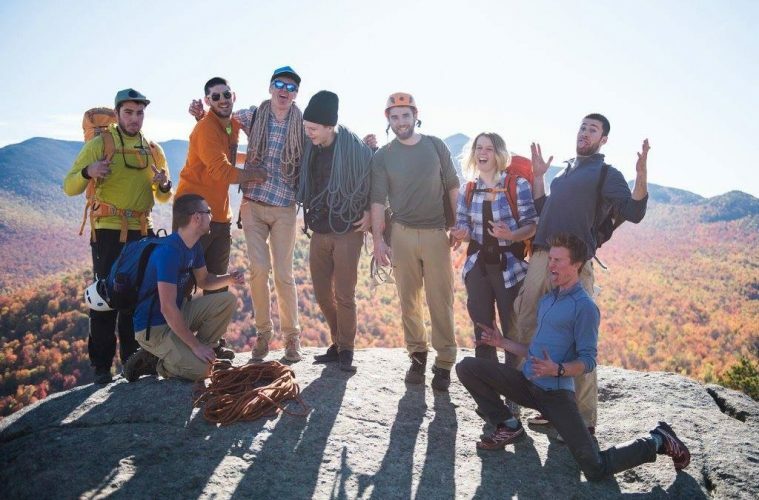 Clubs like the Western Mountain Sports club, the Whitewater Rafting club and the Wilderness Pursuits club all offer students the chance to explore all of the outdoor activities that the region has to offer. Western State also offers a masters program in Environmental Management, with the choice between Integrative and Public Land Management, Sustainable and Resilient Communities, and Global Sustainability. In Fort Collins, Colorado, Colorado State University offers students fun weekend trips and paid leadership opportunities to help get enrolled students outside. CSU’s Outdoor Program is supported by student fees, and encourages students to backpack, hike and climb in the area. The Outdoor Program at Colorado State includes a 55-foot climbing wall at the Student Recreation center, and offers over 50 different outdoor trips, clinics and events throughout the school year. The free clinics are aimed at students learning important outdoor skills, like avalanche awareness and backcountry cooking. The list of outdoor trips offered include rock climbing, ice climbing, mountaineering, backpacking, camping, fishing, snowshoeing, skiing and snowboarding. Assistant Director for the Outdoor Program at Colorado State, Rodney Ley, believes in what he calls a critical mass of interest. If a large portion of the student body is interested, people will come. He says the Outdoor Program is popular with students because of the natural landscape of Colorado.”We play off of the fact that we are in Colorado and many out-of-state students come here for that reason. We hire out-of-state students as trip leaders. There is never an issue with funding here [for the Outdoor program] at Colorado State,” Ley says. In addition to the outdoor recreation programs and degrees offered by Western State and CSU, students in the Rocky Mountain region will soon be able to take advantage of the University of Wyoming’s Outdoor Recreation and Tourism Management degree program that will launch in the fall of 2018. “This degree will give students the skills, knowledge and experience needed to find meaningful employment and become leaders in the outdoor recreation and tourism economic sectors,” says the program’s coordinator, Dan McCoy. 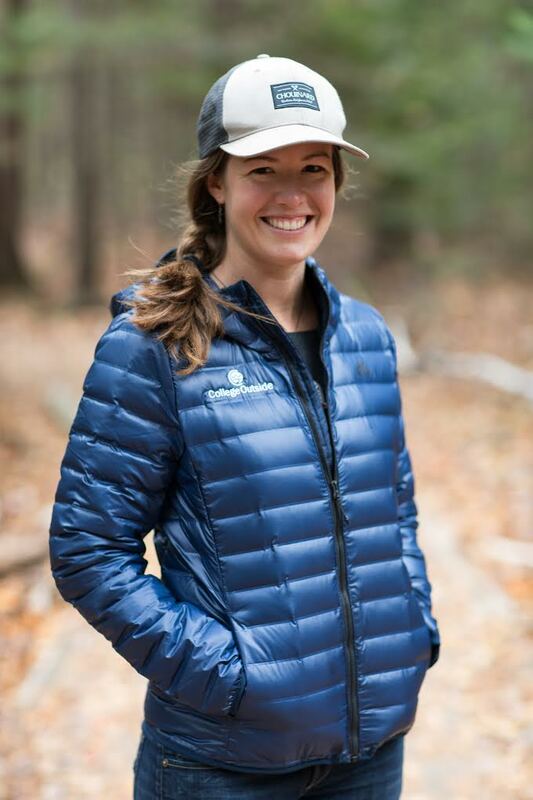 Education and a passion for the outdoors can be life-altering for current and former college students, like Sarah Lockwood, who credits her college experience as a deciding factor to pursue her career in the outdoor industry. Lockwood is the founder and CEO of College Outside, a startup organization that works with universities and student groups to obtain affordable outdoor gear, advice and resources, and access to intercollegiate, outdoor-oriented events to introduce students to outdoor activities in a fun and easy way. Events like their Collegiate Outdoor Leader Summit work to train the next generation of outdoor leaders. Lockwood’s path into the outdoors really began at the mountain alpine club at Tuft’s University. “They took me climbing for the first time, and that was it, I was hooked.” Even though Tuft’s did not have an outdoor recreation program or major, the alpine club became her passion. Now, part of her job is to get current students the equipment and opportunity to experience and fall in love with the outdoors. “Our most important goal for the future is to increase individual participation in outdoor recreation and education,” Lockwood said. College Outside provides financial advice and discounts to outdoor clubs across the country. “The reason these [outdoor] education clubs are not growing, is resources. If these clubs had more equipment and funding, they could take more students on trips, and have more students experience the outdoors,” which Lockwood recognizes comes at a time when the outdoor industry is looking to younger generations to step up and take responsibility for the environment.“It’s is an aging industry, so a lot of folks are concerned about an aging workforce,” Lockwood voiced. A related general concern Lockwood mentioned is the trend of Millennials and Generation Z spending a lot of time indoors with technology. But the solution for that may be simple. “We believe truly that if people can get outside and fall in love with the outdoors, that’s going to create a connection to nature and that’s going to inspire them to care about conservation,” Lockwood said. A lot of established outdoor student clubs are a crossover between an outdoor recreation club and an environmental sustainability club, so some of these clubs are directly responsible for starting recycling programs or decreasing the use of plastic water bottles on campuses. At the end of the day, Lockwood recognizes the importance of getting college-aged students outside, citing research that shows “If you have someone that is passionate about the outdoors, they are going to want to protect it to make sure that it’s there for their lives and for the lives of future generations.” The young CEO and avid outdoor aficionado has witnessed schools that put in the time and resources to better these programs in turn receive exceptional outdoor-passionate students, which elevates the university’s status overall — making them more marketable. For the next generation of outdoorsmen and women, Lockwood has one piece of advice: “Just get outside. You don’t have to scale Everest to be an outdoorsman,” she said, adding that for individuals already passionate about being outdoors: there’s a job somewhere in the outdoor industry for you.